Were you involved in a car accident with an uninsured driver? Car wrecks are incredibly traumatic events, and this stress compounds if you discover the party that’s liable doesn’t have insurance coverage. Thoughts of your insurance company throwing out your claim, or denying to pay medical costs may leap through your mind. Relax, it’s not as bad as you think. 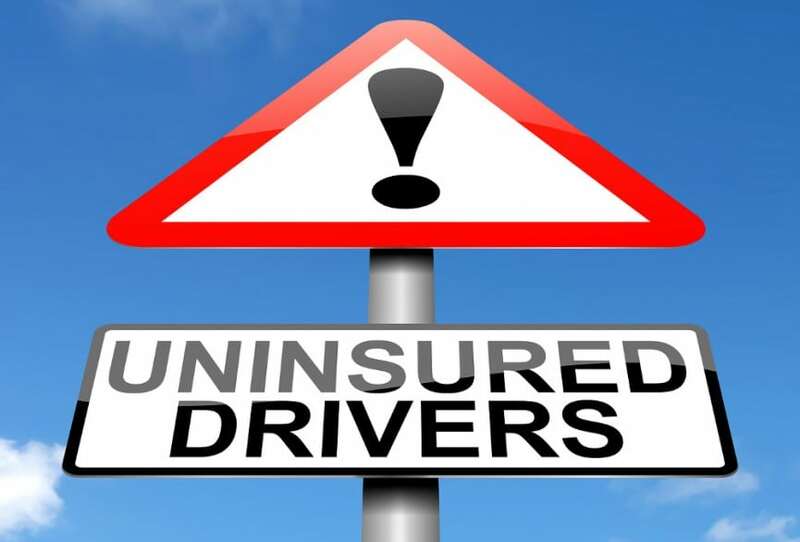 Here is a brief 5-step guide to everything you need to know if your involved in this type of accident with uninsured drivers. If you were fortunate enough to come out of the accident unscathed, then it’s time to check on all of the passengers in your car to ensure they are all unharmed. After assessing your passengers, move over to the other vehicle and check to see if anyone is injured. In case of an injury, call emergency services right away before moving on to the next step. After assessing the situation and calling for medical assistance, notify law enforcement of the accident. If someone has died on the scene, it’s important to note that leaving the scene of the crash is considered a felony by the police, unless you are injured and removed from the scene by medical staff. Wait for the police or metro officers to arrive before moving on to the next step. Once the police are on the scene, approach the other driver, if they are not injured, and collect their details. At this stage, the driver will notify you that they have no insurance. Don’t panic, collect their details the same way you would with any other accident. If your too shaken up to write things down, make a recording of your statement and capture their details using the camera on your cell phone. After the dust has settled, it’s time to handle the insurance details with your service provider. Call your insurance provider and notify them of the accident. The insurer will want a competitive quote for repairing your vehicle, so shop around for quotes from reputable body shops. Once you have the quote in your hands, call your insurance company and start the claims process. Depending on the service level offered in your policy agreement, it may take anywhere up to 90-days to settle your claim in full. Don’t forget to include any medical costs. What to do if there’s a Shortfall? If there’s a shortfall in your claim payment, you will need to pursue the uninsured driver and launch a lawsuit against them to recover your money. Hire an expert legal advisor to help you through the process. At Great Plains Auto Body, we’re committed to giving you an unmatched level of service. As a company that’s been family owned and operated for more than 25 years, we’re dedicated to treating our customers as we would treat members of our own family. We’ll keep you informed throughout the entire repair process and make sure you’re satisfied when the job is complete. From estimating and detailing to collision repair and paint services, our ASE-certified mechanics and technicians make sure the job is done right and on time. And, in addition to our extensive list of certifications, we’re the only Mercedes-Certified Collision Center in Nebraska. Most important, we offer a lifetime warranty on ALL of our work. Our worksmanship is second-to-none when it comes to complete auto body repair. In addition, we have years of experience in aluminum vehicle repair. From hail damage to door dings to everything in between, trust the local experts to remove minor dents and get your car into showroom shape. Expect outstanding paint work with our computerized mixing system, environmentally friendly water-based paint technology and downdraft paint/bake booths. Our computerized laser measuring system and Celette fixture bench will return your vehicle’s structure and frame back to factory specifications. Enterprise Rent-A-Car is conveniently located on-site at both Omaha locations. You’ll be en route to your destination in no time at all. We have the latest in diagnostic testing technology which helps us efficiently determine the right path for your auto body repair. We offer a professional 24-hour towing service at all three locations. We respond quickly, and handle your vehicle safely and securely. Stay in the loop regarding your auto body repair with our convenient text messaging system. Real-time updates leave your day worry-free. We have a great relationship with all of the major insurance companies and can help negotiate your claim to your satisfaction.